Destiny 2 got off to a rocky start but the game has definitely recovered in the months since its release. Now, the MMO-like shooter is considered one of the better "live service" titles on the market, thanks to a few well-received DLC packs and a wide array of free content patches. 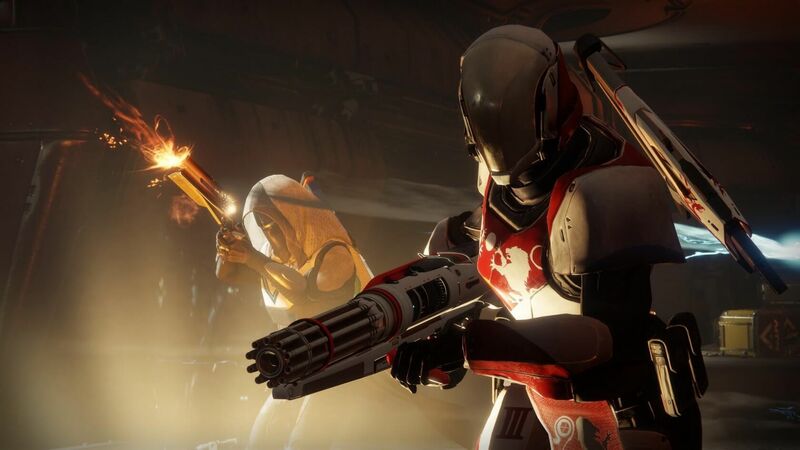 If you're a bit late to the party and haven't given Bungie's latest multiplayer shooter a shot yet, you're in luck; so long as you're a PC gamer. After less than a year on the market, Destiny 2 is now available for the low, low price of $0. In partnership with Blizzard, Bungie is offering Destiny 2 completely free, forever, as long as you snag the game before November 18. There are no hidden catches or restrictions, other than the fact that you'll need a Battle.net account. Of course, this free offer doesn't include the game's DLC, which is recommended by many players for the best experience. If you don't want to commit to buying the DLC without testing it, you can try one aspect of it for free this weekend: the "Gambit" game mode, which is ordinarily exclusive to Destiny 2's Forsaken expansion. Gambit is a PvE/PvP hybrid mode that pits two teams of four players against each other in an intense battle for resources. When either team reaches 25 and 50 "motes" (the game mode's currency), one teammate can invade their opponents through a portal. The free testing period for the mode ends on November 11. If you want to try Destiny 2 and you don't already have the Battle.net launcher, you can download it right here. According to PC Gamer, you'll also need to activate Blizzard's SMS Protect 2-factor authentication before you can claim the game.